Explosive activity continues. Volcanic Ash Advisory Center (VAAC) Darwin warned about a volcanic ash plume that rose up to estimated 5000 ft (1500 m) altitude or flight level 050 . ERUPTION DETAILS: VA OBS TO FL050 EXT SE AT 23/0310Z. CVGHM REPORT AT 22/2204Z. FORECAST BASED ON MODEL GUIDANCE. LOW CONFIDENCE IN FCST DUE TO POOR MODEL PERFORMANCE. 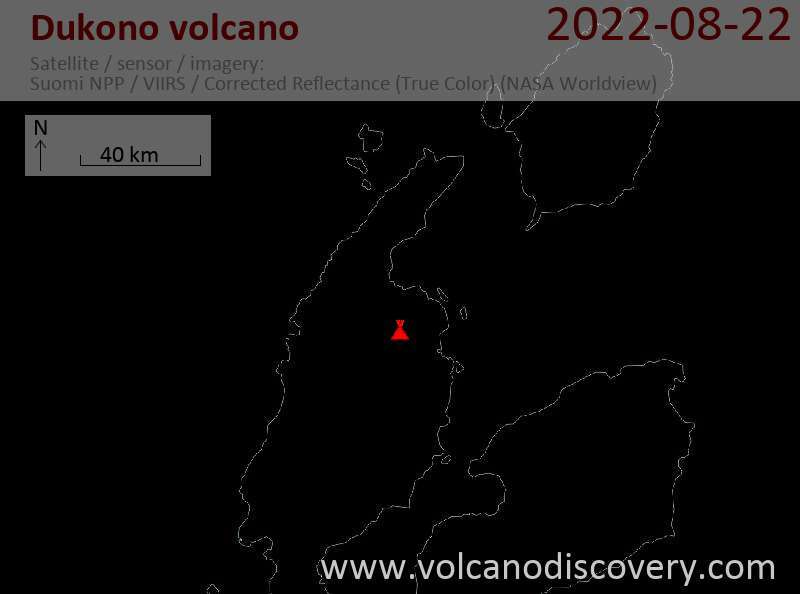 Dukono Volcano Volcanic Ash Advisory: VA OBS TO FL070 EXT E TO SE AT 21/2140Z.